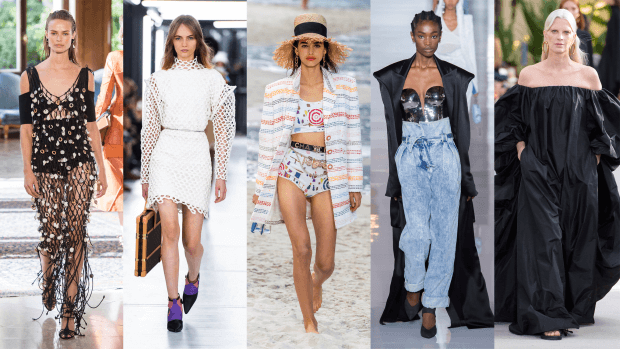 The rule of thumb is if you’ve seen it more than 3 times on the runway it’s officially a “trend.” So to save you time I’ve complied the top 5 trends this Spring that one should add to their wardrobe. Not your Grandmas Knit: Crochet is one of the hottest trends this season. I know, you hear the word crochet and instantly think of your Grandma. Think boho meets 70’s with a modern and elevated vibe. Birds of a feather flock together: Typically, we think of feathers during the holidays or costumes but this Spring designers were showcasing this look on everything from handbags, to dresses to embellished blazers. Dessert Storm: While Spring is typically all about pastels and bright colors, subtle down-to-earth hues were all the rage. Earth tones make the perfect backdrop when paired with pops of color. Graphics: Think fine prints, graphics, and florals. More is more when it comes to this trend. Don’t be afraid to mix and match. Fruity Pebbles Suits You: The brighter the better. Think bold and colorful when it comes to suits and it’s best to wear head to toe. This “Power Suit” packs a big punch.